After spending his teen years looking for trouble and finding ways to hide being gay, Derek has everything he never let himself want. A boyfriend. A steady job. A future. But the past comes calling, and family troubles and his own demons will put Derek’s relationship with Conor to the test. An unexpected road trip takes Derek speeding into the dark places of his heart and grappling with his own history of violence. He could lose everything he’s fought so hard to win. 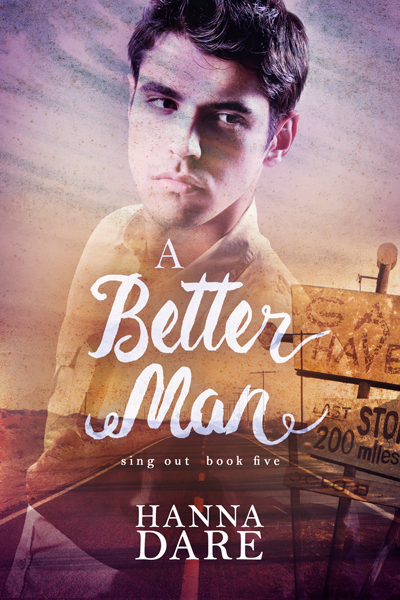 True love is waiting for him, but first Derek has to decide the kind of person he’s on the road to becoming. This book follows Sing Out 1-3 and should probably be read after them. It contains some scenes of violence, as well as discussions of past domestic abuse. There’s also a LOT of swearing.